Directions: Add contents of one capsule (250 mg) into aquarium for each 10 gallons of water to be treated. Repeat in 24 hours. It is suggested that a partial water change be made between treatments. While duration of treatment depends on type and severity of infection, it is recommended that extended medication baths continue for a minimum of 5 days & for not more than 10 days. Discontinue treatment if no improvement is noted within 5 days.To remove harmless yellow color, change 20% of water and use charcoal filter until clear. Directions: Add contents of one capsule (500 mg) into aquarium for each 20 gallons of water to be treated. Repeat in 24 hours. It is suggested that a partial water change be made between treatments. While duration of treatment depends on type and severity of infection, it is recommended that extended medication baths continue for a minimum of 5 days & for not more than 10 days. Discontinue treatment if no improvement is noted within 5 days.To remove harmless yellow color, change 20% of water and use charcoal filter until clear. Exerts a bactericidal action on gram positive and some gram negative bacteria. 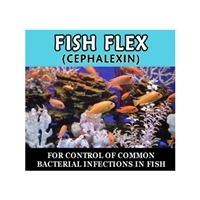 Useful for control of some common bacterial fish diseases including aeromonas and pseudomonas genera and mysobacterial group (gill diseases, chondrococcus). Exerts a bactericidal action on gram positive and some gram negative bacteria. 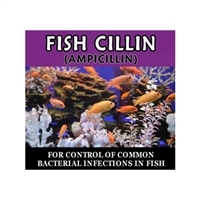 Useful for control of some common bacterial fish diseases including aeromonas and pseudomonas genera and mysobacterial group (gill diseases, chondrococcus. Fish Sulfa Forte - 800mg of Sulfamethoxazole and 160mg of Trimethoprim. EXERTS A BACTERICIDAL ACTION ON GRAM NEGATIVE BACTERIA. 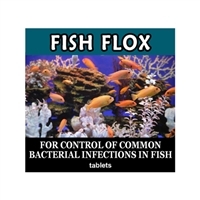 USEFUL FOR CONTROL OF SOME COMMON BACTERIAL FISH DISEASES INCLUDING AEROMONAS AND PSEUDOMONAS GENERA AND MYSOBACTERIAL GROUP. The IFAK or individual first aid kit, is the very same as what is issued to the USAF in Iraq. This is a very popular and useful kit, currently being used by several state and federal government agencies. The bag is durable cordura NYLON with three MOLLE straps. Included is the new ACS 1st Response Quik-Clot and all the items necessary for wound management.